Two weeks ago, we asked fantasy authors about the new writers that they were reading and loving. Now four top science-fiction authors—Ann Leckie, Nicholas Sansbury Smith, Marko Kloos, and Kameron Hurley—weigh in on the new writers who have made them sit up and take notice. See below for why these newcomers have grabbed their attention. I can't wait for people to be able to read A Memory Called Empire, by Arkady Martine. A newly minted ambassador—carrying an outdated, virtual copy of her predecessor in her head—arrives at the capital of a huge and immensely powerful empire to discover that her actual predecessor has been murdered. She'll have to find out who did it, while also trying to prevent said empire's absorbing her own home system. This is a compelling, smart read with a beautifully constructed setting, and, as the author has very accurately noted, plot-bearing poetry contests. The biggest disadvantage to having been able to read it early is that I have to wait longer for the sequel. 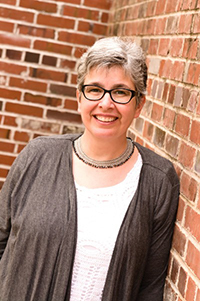 Ann Leckie is the multiple award-winning author of the science fiction Imperial Radch series (Ancillary Justice, Ancillary Sword, Ancillary Mercy) and the forthcoming fantasy novel, The Raven Tower (February 26). My love for alien invasion novels has become a life long passion. Over the years, I’ve added many favorites to my personal bookshelf and now I will be adding another. It’s rare to pick up a debut as unique as The Lesson by Cadwell Turnbull. This is a deeply emotional story of suspense about an alien race that has traveled to the US Virgin Islands with seemingly unknown intentions. As the plot slowly unfolds through the POV of multiple complex characters, Turnbull sets the stage for a revelation and ending that not only rewards the reader but has us thinking about the story long after we turn the last page. By the time I was finished, I had no doubt this is the beginning of an epic career for Cadwell Turnbull. I anxiously await his next book. 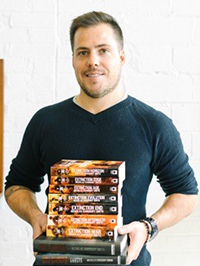 Nicholas Sansbury Smith is the author of the bestselling Hell Divers books, as well as the Extinction Cycle and Trackers series. His next Hell Divers book, Captives, hits shelves and Kindles on May 7. 2018 was an excellent year for excellent books from new authors, but the one that stuck with me the most is Peng Shepherd’s The Book of M. This is a haunting tale set in a dystopian future where people’s shadows are linked to their memories, and what happens when people suddenly begin losing both. It’s terrifically well written, and it sets the bar high for debut novels. I’m a sucker for a good dark dystopia story, and this one is effective because it hones in on the core of a great post-apocalyptic story: the essential importance of retaining human relationships when the world around you falls apart completely. 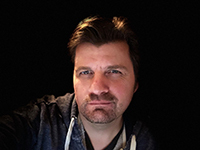 Marko Kloos is the author of the Frontlines series of military science fiction and is a member of George R. R. Martin’s Wild Cards consortium. His next Frontlines novel is Aftershocks (July 1). The Luminous Dead is a masterful, nail-biting science fiction thriller from an extraordinary new talent. Caitlin Starling makes writing a compelling page-turner oozing with creeping dread look easy. Meticulously researched and expertly paced, it’s perfect for fans of locked space ship mysteries and atmospheric survival novels. I found myself utterly drawn into the story of these two fearless, broken, self-destructive heroines as they endured truly epic physical and emotional journeys that, frankly, left me breathless. It’s the sort of book I press into the hands of friends so we can endlessly discuss its twists and turns. 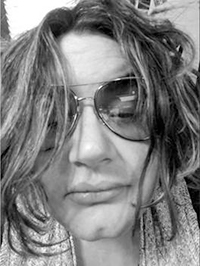 Kameron Hurley is a Hugo Award winner and the author of the forthcoming military science fiction novel The Light Brigade (March 19), about a soldier on the Martian front who becomes unstuck in time.